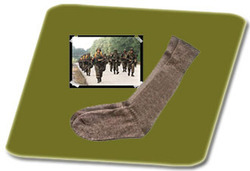 Exporter of a wide range of products which include military sock and military police sock. We offer a wide range of Military Sock acrylic long border that feature not only colorful finish but also comfortable finish as well. Available in a wide range of color schemes to choose from, these Military Sock are offered in different yarn mix finishes as per the specifications provided by the clients. 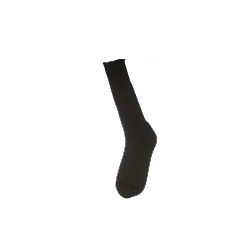 We offer an assortment of Military Police Sock. These are accessible in different hues and agreeable to wear. We additionally hold the capacity to redo our gathering of Socks according to the customer's prerequisites. Notwithstanding this, our item is accessible in enthralling plans, impressive look and special examples according to market inclinations.